In "War Is Not a Game," Nan Levinson delivers a sympathetic and perceptive analysis of the formation and early years of Iraq Veterans Against the War. Despite a long history of veterans, soldiers and military families opposing war, the public perception is that those who fight in wars keep believing in them and war-making in general. Nan Levinson helps dispel that false assumption with her sympathetic and perceptive analysis of the formation and first few years of Iraq Veterans Against the War, or IVAW, in “War Is Not A Game: The New Antiwar Soldiers and the Movement They Built.” A journalist and writing teacher, Levinson got drawn into writing the book slowly, having initially written a newspaper article before the 2003 attack on Iraq about resisters to the Gulf War in 1991, and expecting that the much bigger mobilization and the much murkier Iraq war would surely generate soldier dissent. The book begins with IVAW’s formation at the Veterans For Peace, or VFP, yearly convention in Boston in 2004 by young veterans who had only just met all together in a workshop earlier that day. Then it follows the growth of the military arm of the anti-Iraq war movement — including Military Families Speak Out, Gold Star Families for Peace, Cindy Sheehan and Camp Casey, and the Bring Them Home Now project — and winds up with the story of IVAW’s Winter Soldier testimonies at the National Labor College in Silver Spring, Maryland in 2008. Levinson did a skillful job reporting on so many “ethical spectacles,” a term coined by activist and media scholar Stephen Duncombe and used by IVAW member Aaron Hughes to refer to the political actions IVAW and their colleagues used to startle, inform and awaken the public and politicians. Levinson examines a long list of actions and projects — the Mobile to New Orleans march to protest poor funding for victims of Hurricane Katrina and ongoing huge war spending; the Arlington West temporary graveyard displays of crosses; Bake Sales for Body Armor to send needed equipment and point out that the troops were poorly supplied, the online Appeal for Redress signed by over 2,000 active duty troops, Operation First Casualty street theater patrols in various cities where IVAWs enacted detentions, cuffing, hooding as they had done in Iraq with volunteer civilians from VFP and other groups, the Yellow Rose of Texas Peace Bus tour to military bases, the GI coffee houses Different Drummer and Coffee Strong, the Combat Paper art project making paper out of shredded uniforms, Warrior Writers workshops and playwriting, Operation Recovery to stop traumatized soldiers being sent back to combat, and confrontations at military recruiting offices. Guilt is a big item in the book and in veterans’ and families’ lives. Survival guilt, perpetrator guilt, and parental and buddy guilt for not protecting a child or friend. Levinson rightly criticizes the short-cutting media which tends to seek “a lone, distraught survivor” instead of reporting on movements. Many journalists refused to recognize the movement Cindy Sheehan was part of and accompanied by when she demanded George Bush tell her what noble cause her son Casey died for. Rather, they “anointed [her] Mother-of-All-Mothers,” just as they called Rosa Parks an old woman with sore feet instead of an experienced civil rights activist. Levinson reports IVAW’s perhaps unfortunate later resistance to putting forward a figurehead or leader after being burned by the Camp Casey experience, where other grieving families and veterans had been slighted. Unfortunately, Levinson herself fell prey to that journalistic tendency, implying single planners for the Mobile to New Orleans march and for the Winter Soldier hearings. She claims Aaron Hughes alone organized the medal throw back at the NATO summit in Chicago in 2012. As a member of Veterans For Peace and Military Families Speak Out and an organizer with the Bring Them Home Now project I personally know these all were big coalition efforts. 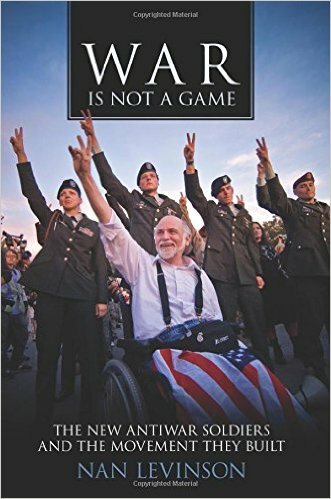 Interestingly, there is another similar book, published on the earlier end of 2014, and with a cover photo of a different angle of the same IVAW action confronting the Democratic National Convention in Denver in 2008 that “War Is Not A Game” uses on its cover. Dr. Lisa Leitz, a sociology professor and the wife of a naval aviator who was deployed to Iraq and Afghanistan, wrote “Fighting for Peace: Veterans and Military Families in the Anti-Iraq War Movement.” Leitz is both more academic and more personal in her examination of the anti-Iraq war work of the military community. She powerfully portrays the family of military war resisters helping each other move from emotions of powerlessness to emotions of resistance. 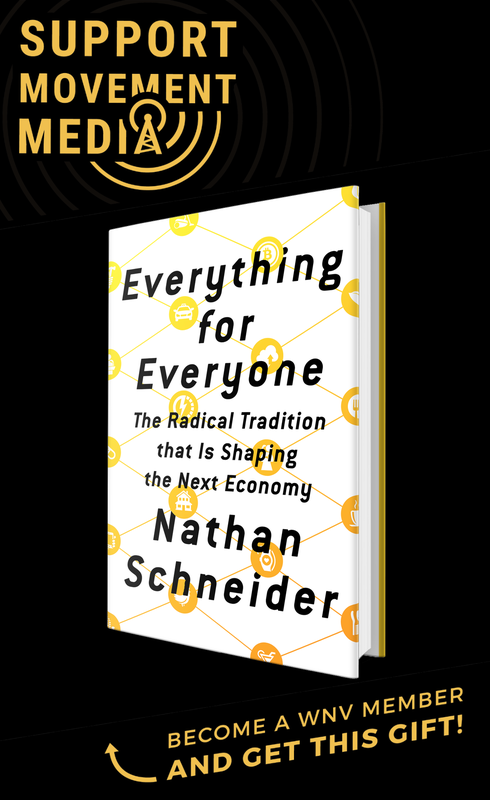 The two books make good companions in examining how a movement forms, burgeons and adjusts. I have always felt so pleased that VFP was able to be a platform for IVAW to launch itself, of course literally in Faneuil Hall in Boston in 2004, but more importantly by offering the philosophical, emotional, and sometimes economic backing they needed from a bunch of older folks who appreciated what they were about much better than most.